How much for that book? Have you heard the joke that asks what the difference is between a large pizza and a naturalist? I have a fairly low dollar amount I never go above for books and while it means that I miss out on many books it also means the ones I do get are a great deal. I'll go a little higher on something really spectacular but having a firm budget in mind when you go looking for books is a good idea. 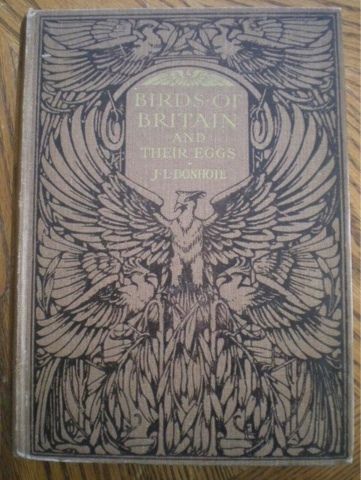 First up is this 1917 gilded edition of Birds of Britain by J. Lewis Bonhote. Look at that cover! 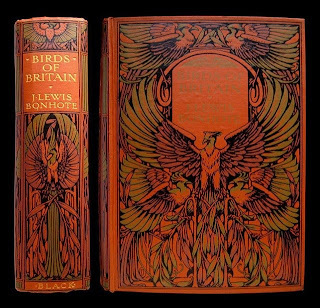 I've been known to buy a book just for an exquisite cover. The bird motif is great and the use og gilding got shading on the wings is fantastic. The orange-red cloth boards makes the whole thing pop. The asking price? Why just $350. Ouch. No thanks. 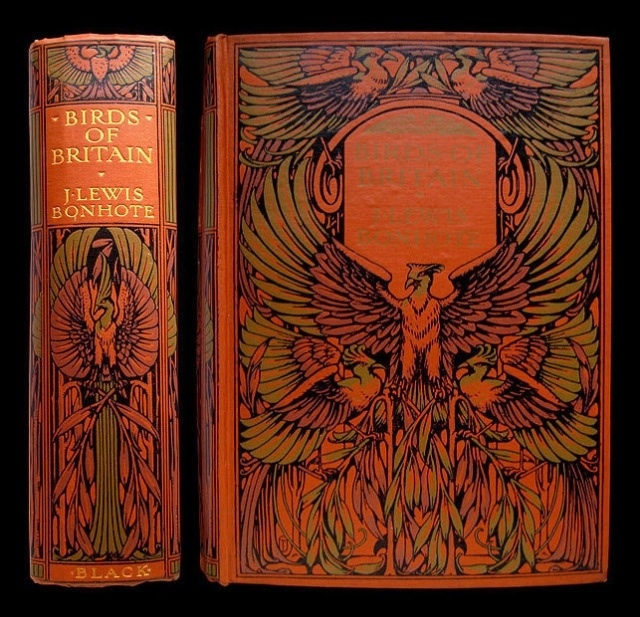 Of course, you can get the same book in the 1927 edition without gilding and on boring tan cloth boards for just $23. Kinda boring though once you've seen the one above right? Sometimes a cover is boring and what's inside is the real treat. That's the case with all of the Naturalist's Library series of book by William Jardine. 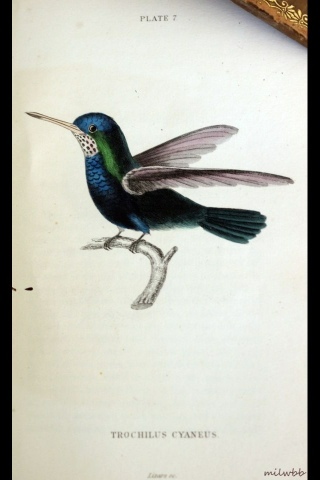 Published in the early 1800s the drawings are real eye candy. Unfortunately, each volume goes into the hundreds of dollars. They are probably a good value but not likely to grace my shelves any time soon. 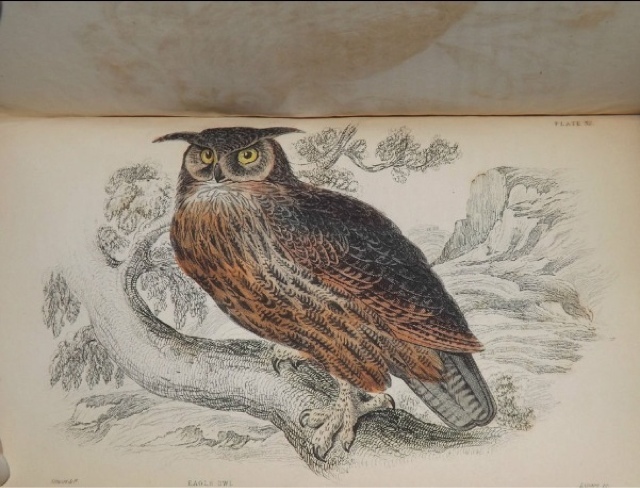 The owl is from a multi-volume set on birds of the UK and the hummingbird from a two volume set on just hummingbirds. What are your favorite nature books? Let me know!